The Legend of Zelda Mod is a mod developed by the creator ‘dude22702’, and is available for the latest patch of Minecraft 1.8. This mod adds in items that can be found in the games of Zelda – master swords, hero bows, goron tunics, and so much more. Best of all, the mod can be installed for servers and client. There is no real way to use the Legend of Zelda Mod you first of all need to download it with Minecraft Forge and then you can load up your latest save game. When loading all of the mods features should be automatically enabled. The Legend of Zelda Mod adds in many items to the game surrounding the game of Zelda! The mod adds in a variety of new weapons, including the hero bows, with both normal and silver arrows. The mod also adds in the master sword, which has over 1,000,000 attack damage! 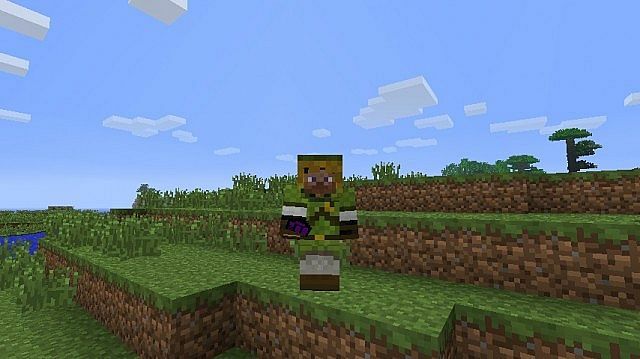 Next, download the Legend of Zelda Mod and drag and drop it into the .minecraft/mods folder of your Minecraft directory. The latest update for the Legend of Zelda Mod fully updates it to Minecraft 1.8 and also adds in a few new items too. The mod can also be installed for Minecraft 1.8.